Best Party Ever for bandv! Last weekend bandv had our annual Christmas party and we certainly celebrated in style! 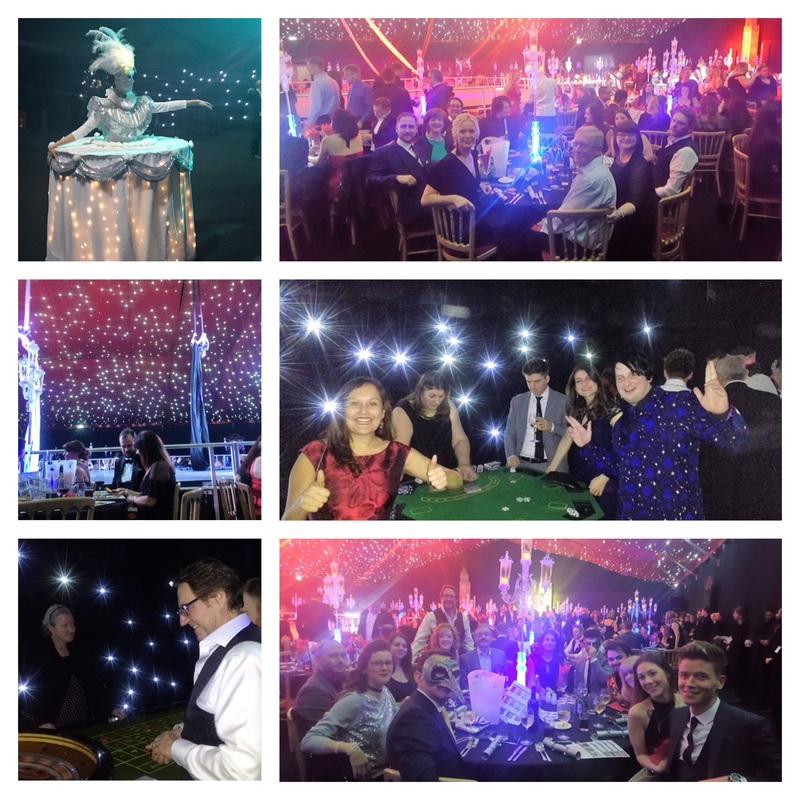 This year the team, (along with our partners) attended a Best Parties Ever event held at the Trojans Club in Eastleigh, Southampton and this year’s theme was Italian Masquerade. After arriving at the venue which was decorated with a stunning backdrop, decadent drapes and a sky full of sparkling lights, we all gathered together for a dazzling drinks reception, where we were served hot and cold canapes by living statues dressed in full Italian masquerade costume. Then it was time for a three-course meal Christmas style. The festive feast certainly set us up for the evening and whilst good conversation and wine flowed freely, we were entertained by sensational silk and aerial hoop performances, before a spectacular finale. Next on the evening’s entertainment list was the charity casino where we all managed to have a flutter. Our SEO guru Shawn Harding proved that he was a whizz on the Black Jack Table whilst our Chairman Colin Breckenridge took his chances on the roulette wheel. After losing all our chips, we lifted our spirits with a ride on the dodgems. And the night wouldn’t have been complete without a dance when the disco was in full swing! After a much-needed survivor’s breakfast, it was time for team bandv to exit the ball and everyone left in their carriages home, full of festive cheer.